The Tacoma Go Club re-instituted its annual Veteran’s Day Tournament this year after a two-year hiatus. 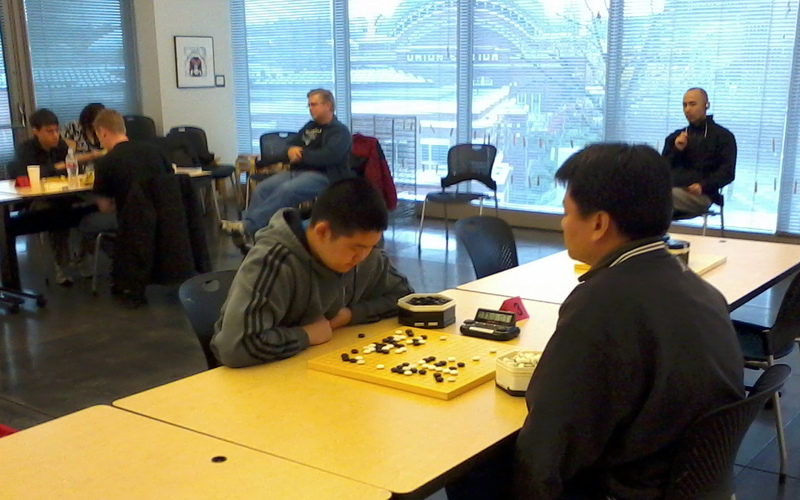 Solomon Choe 6d topped the tournament, winning the Dan Division. 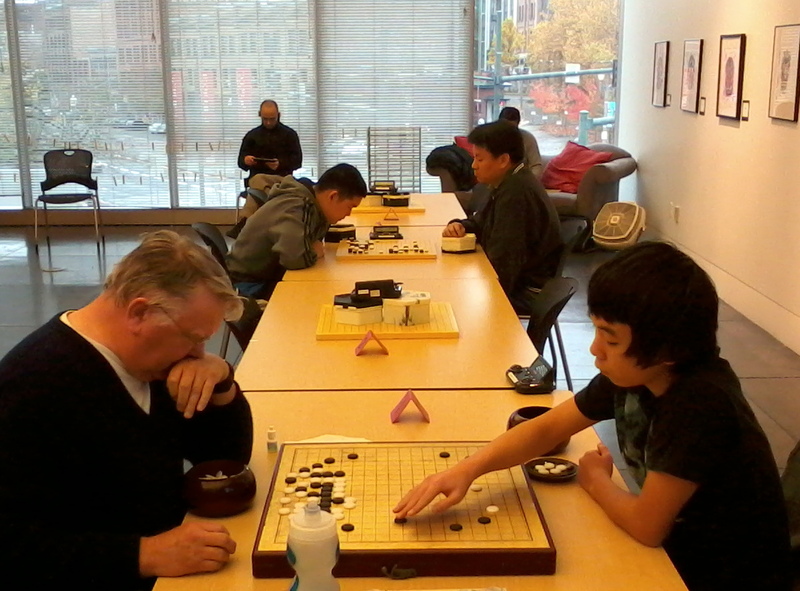 For the first time, the Tacoma Go Club hosted the tournament, which was held on November 12th, in the Esther and Gene Grant and Ben B. Chaney Foundation Art Room in the Tacoma Art Museum. Relish’s Café provided box lunches for those who had pre-registered. “This was also the second time that the Tacoma Go Club used almost all of the features of the handy Go Clubs On-line, including registration, lunch orders, bookkeeping, pairing and reporting,” reports organizer Gordon Castanza (at left in photo below). 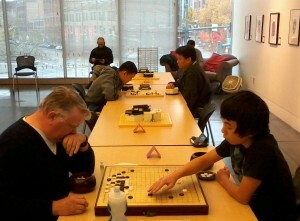 Slate and Shell provided the Tacoma Go Club with a wide variety of go boards, stones, and go books to award as prizes. Photos: Mike Malveaux, who was also the TD for the tournament.